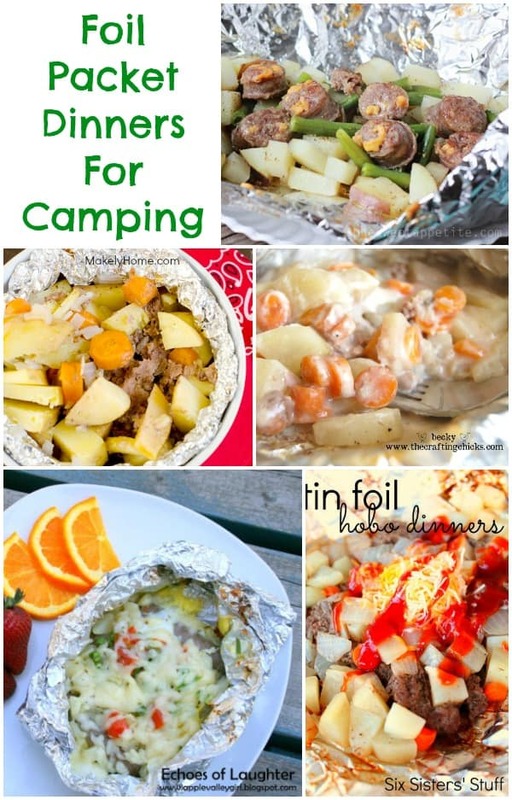 Today we’re continuing on with our special camping features with a collection of delicious foil packet recipes. Camping doesn’t mean all of your meals have to come from cans. All of these recipes include delicious & fresh ingredients to help fuel all those camping activities you have planned. This is a collection of ideas from other talented bloggers and experts in the kitchen. Simply click on the title of the recipe to visit each blogger’s post for the full recipe. I love Italian sausage and I’ll always choose that over steak on the barbeque. 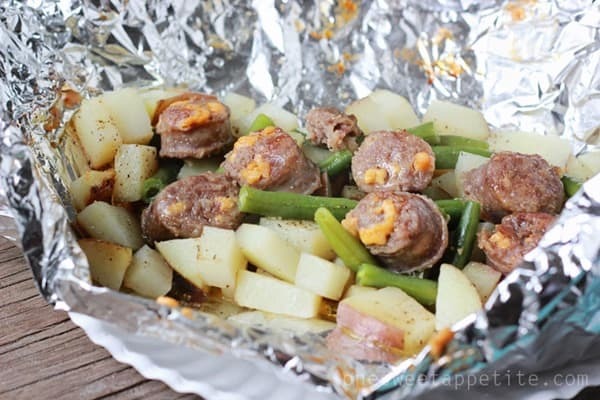 This Italian Sausage and Potato Tin Foil Dinner (pictured above) by One Sweet Appetite looks so yummy! This is on my must-try list this summer. Start your day off right in the campground with this delicious Lumberjack Breakfast by Echoes of Laughter. 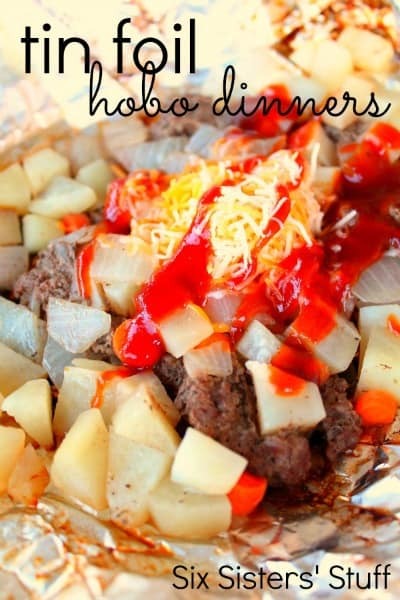 This will leave your tummy full and will give you enough energy to tackle all those fun camping activities. 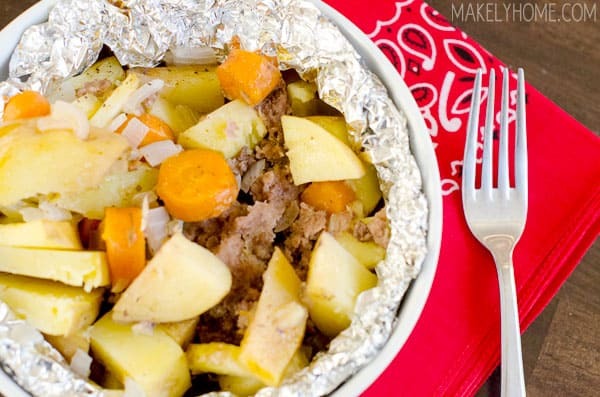 This Tin Foil Dinner by Six Sisters’ Stuff looks so delicious! I’m not even going to wait for a camping trip before I try this one out. These Easy Foil Packets by Makely School For Girls include everything you need for a well-balanced meal. It certainly beats eating a can of beans for supper! I remember doing that a lot while camping as a kid. 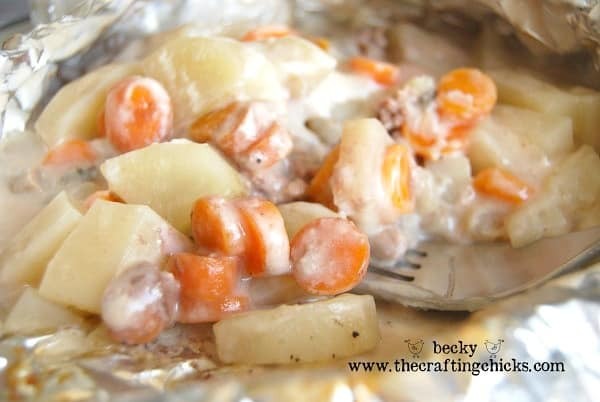 I love the idea of using mushroom soup in this Tin Foil Packet meal by The Crafting Chicks. This meal looks like it’s packed full of flavor. 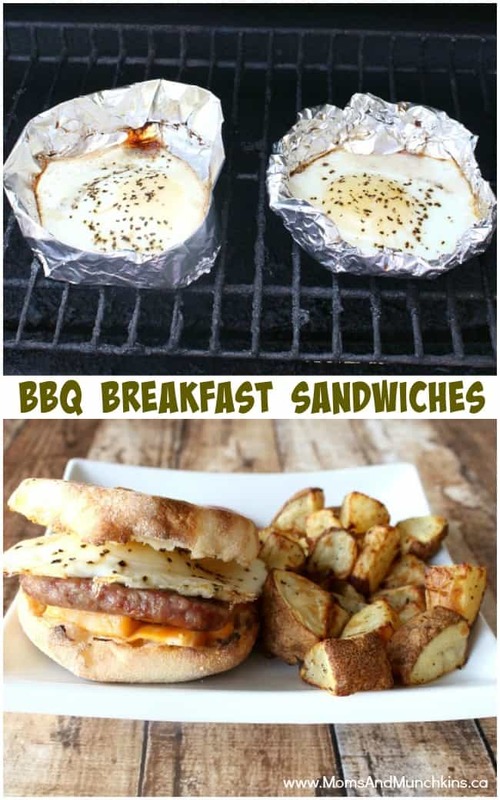 Don’t forget breakfast on the grill! Who knew it was so easy to make eggs on the grill! 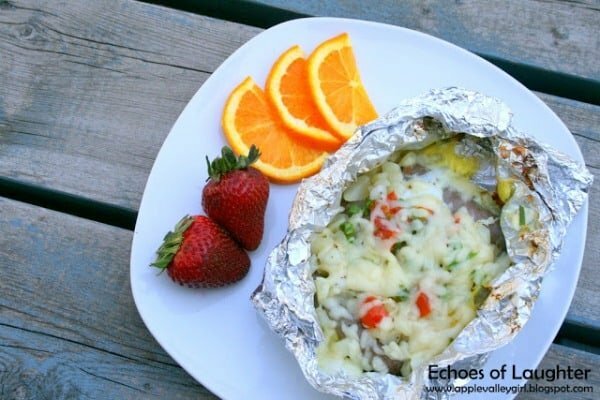 Foil packet recipes aren’t just for meals – they can be for dessert too! 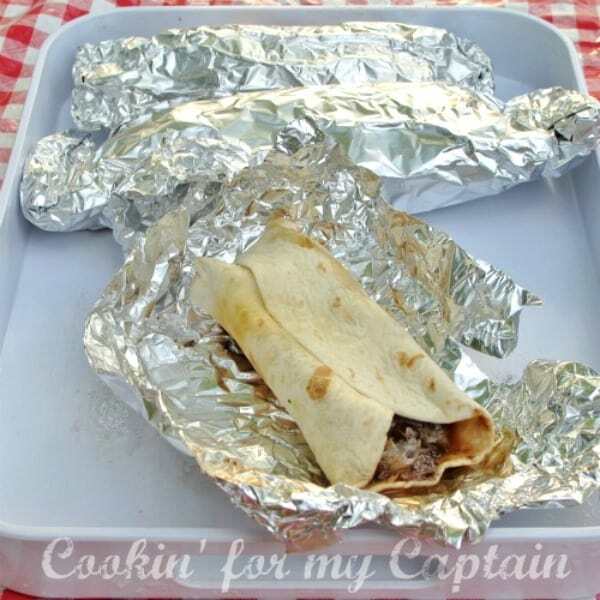 Check out this Tortilla Dessert Wrap featured on Make and Takes. For more fun & delicious camping ideas, be sure to visit our special Camping category.